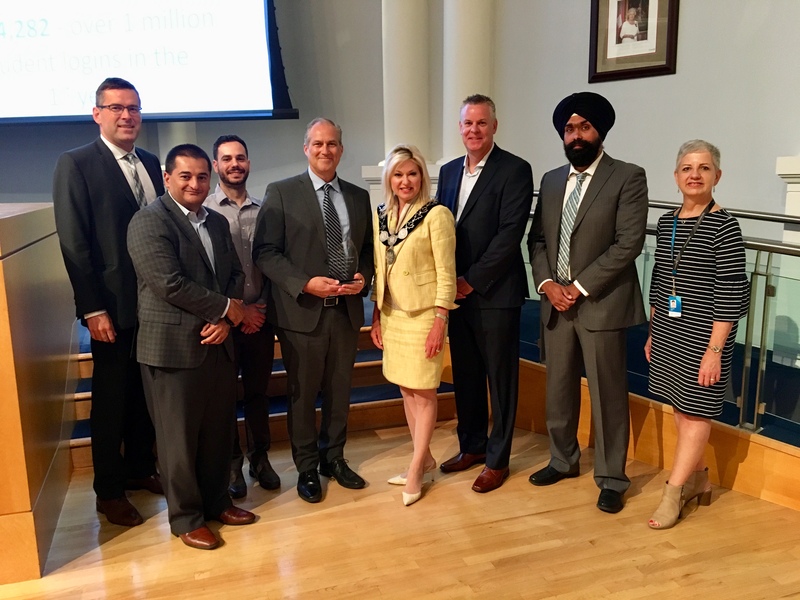 The City of Mississauga, in its partnership with the University of Toronto Mississauga, Sheridan College and CANARIE, has been awarded the 2018 MISA Ontario (Municipal Information Systems Association of Ontario) Excellence in Municipal Systems Award for Canada’s first “virtual campus”. Students, teachers and researchers can securely access post-secondary institutions around the world within City facilities where the free Wi-Fi network is available. The recognition, awarded earlier this month at the MISA Ontario 2018 Annual Conference, is presented to an Ontario municipality that has successfully undertaken a significant initiative or set a new standard that other municipalities may follow. This is the fourth time the City has won this award in its 15 year existence. Mississauga was the first city in Canada to launch eduroam (education roaming) a secure, worldwide roaming service provided by CANARIE in May 2017. The service is available in more than 70 countries and 17,000 locations worldwide. Cutline: City of Mississauga staff win 2018 MISA Ontario Excellence in Municipal Systems Award. Since the launch last year, there have been more than one million eduroam logins through the Mississauga network to hundreds of post-secondary institution globally. Ghant University in the Netherlands ranks atop the list of international institutions with logins in Mississauga, while the University of Waterloo tops the Canadian chart. The launch of the eduroam service in all City facilities allows Canada’s sixth largest municipality to advance its vision for a fully connected and engaged city.